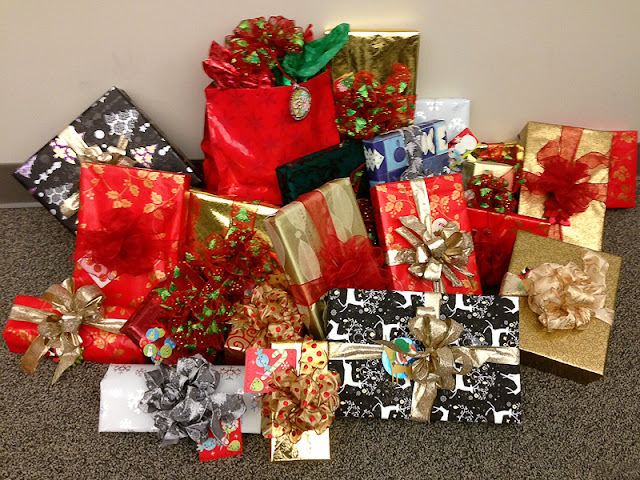 Presents are ready to be delivered to 20 children adopted by Garver employees. Garver hosted a Salvation Army Angel Giving Tree in our corporate lobby this year. 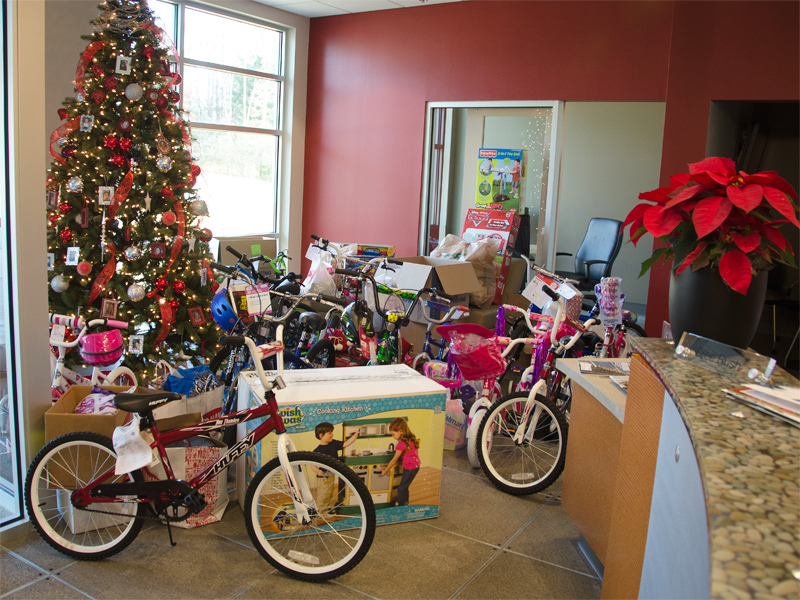 Many of the children were adopted by business line teams that came together to purchase bikes (with helmets), clothes, skateboards, dolls, and even a toddler bed. Judy Allen, Jessica Vinson, and Claire McKinney add name tags to the unwrapped gifts. "Every child deserves to wake up to gifts on Christmas," said Transportation Engineer Claire McKinney, who organized the gift-giving event. "Not only are they getting necessities like shoes and coats, but also fun stuff like play kitchens and science-based toys. It's made me so happy to see everyone's generosity." 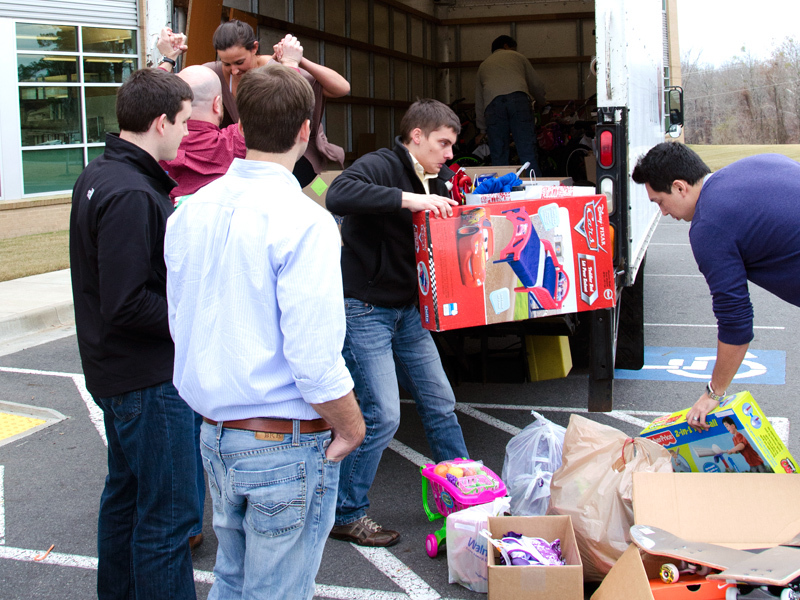 The Salvation Army added gifts from Garver to its truckload of presents for local children. 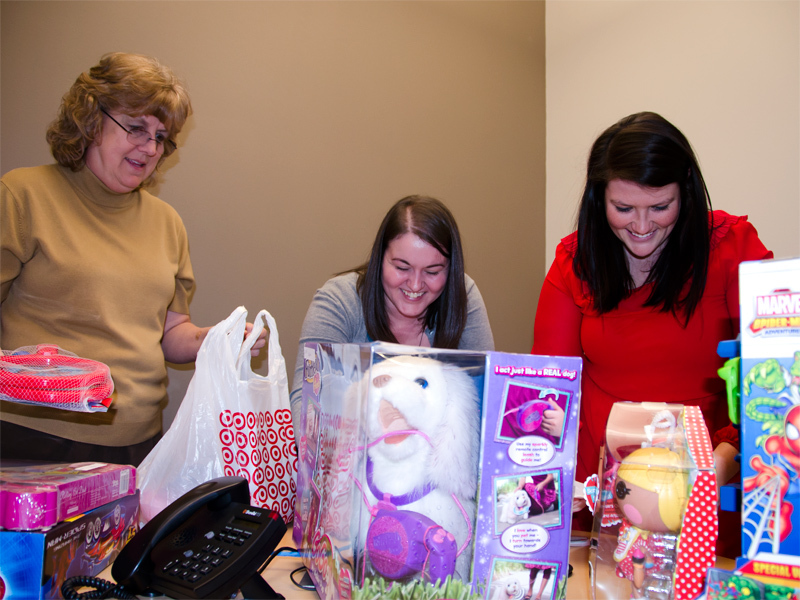 In addition to the Angel Tree, the Finance and HR teams adopted a family from Our House and provided a mother and two young children with gifts for Christmas. Although the family only asked for school uniforms, clothes and shoes, the teams decided to buy toys and books to further brighten their Christmas. Our House is a charitable organization that shelters the working homeless, trains them for jobs, and assists in their transition from poverty. The Finance and HR teams wrapped the gifts with festive paper and bows.